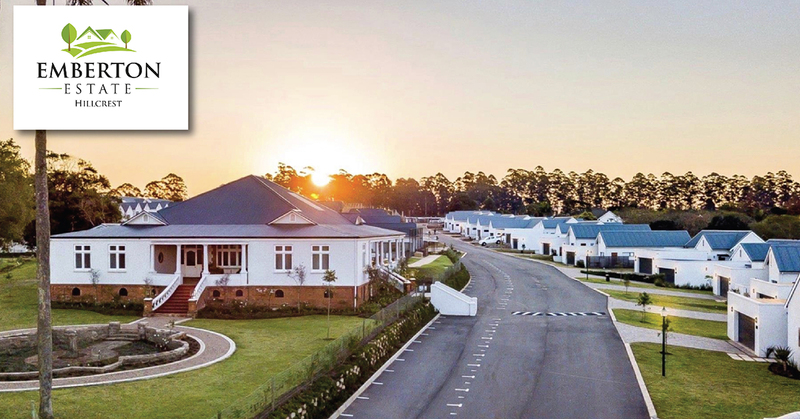 Emberton Estate is without doubt the most exciting Residential Property Development to be launched in the KZN Upper Highway in recent years. It is truly an ‘estate for all’, in that it encompasses the entire spectrum of home buyers. It offers affordable 2 or 3 bedroom simplex options to those who are entering the property market, larger freestanding homes that cater for families or those downscaling from larger homes. Treat yourself to an aspirational lifestyle, where children and adults alike enjoy numerous facilities with peace of mind. Parents relax at the open-air braai facilities whilst kids are spoilt for choice; rushing between cricket nets, jungle gyms, trampolines and a floodlit tennis court. Fitness fanatics start their mornings with lap training in a 4-lane swimming pool, whilst young families walk dogs and prams through the numerous running paths. This is truly a haven for young and old to enjoy a safe, active lifestyle in a beautiful environment. A bar and dining lounge provides a traditional English pub ambience for parents; safe in the knowledge that young children are supervised at their very own entertainment area by experienced child minders. Teenagers keep in shape at the Miami Beach-inspired outdoor gym and meet at the seated fire pits to relax and socialize in a secure setting at night.